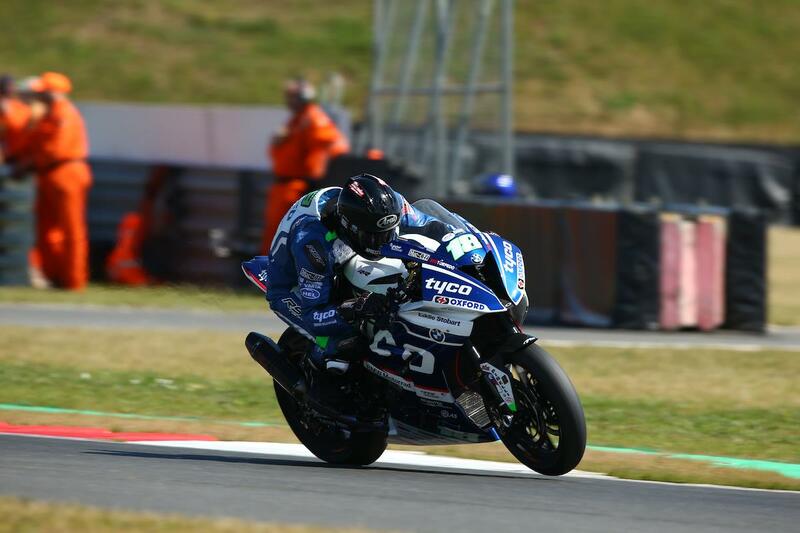 It was all new for the Tyco BMW team at Snetterton this weekend as Superbike rookies Andy Reid and Josh Elliott got their first tastes of the BMW S1000RR in superbike spec. Reid was announced as the full-time replacement for Davide Giugliano ahead of Snetterton, and with his new team-mate Christian Iddon ruled out of action on Friday morning the team’s new stock rider, Elliott was drafted in as a replacement. With neither rider having had the taste of a Superbike or the BSB class before, it was always going to be a baptism of fire for the youngsters, but they held their own to show clear progression throughout the weekend. From FP1 to FP3, Reid shaved more than 3.5 seconds off his quickest time, while Elliott was able to do enough to score his first ever BSB point in Sunday’s opening race.